Himalaya Hiking is the best hike plan to explore the Nepali Mountain trails. Himalaya hiking is a best hiking package for tourists to experience and enjoy the beauty of great Himalayas and Sherpa culture in Nepal. In Himalaya hiking, we hike to Everest region, the home of Mount Everest as well as Sherpa people. 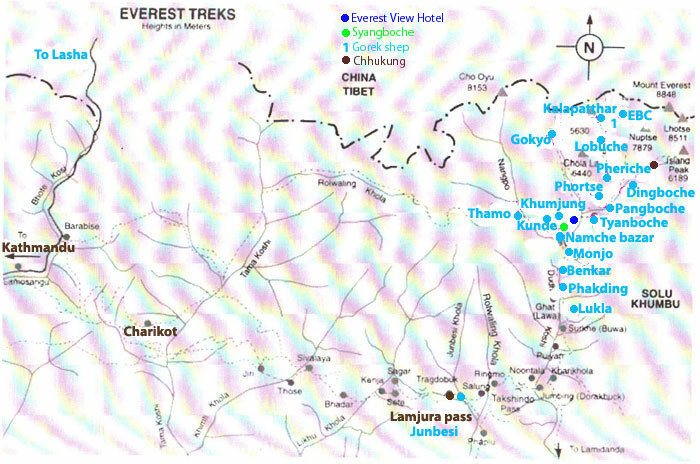 Namche, Shyangboche, Thamo and Khumjung are the main hiking sites in Himalaya hiking package. If tourists have longer time in Nepal, they can extend their hiking up to Everest Base Camp. Namche, the biggest Sherpa market in the Everest region, lies on the bottom of Shyangboche. Shyanboche is the highest airport in the world from where we can view the Mount Everest, Lhotse and Amadablam. Khumjung is the biggest Sherpa village with beautiful Monastery where we can view the scalp of Yeti. The spectacular view of Himalaya is wonderful in Himalaya hiking.